There is no denying that velvet is having a major comeback this year. Traditionally known as a high-end material, velvet has the ability to warm up a room faster than any other material. Its unique relationship to light creates a dramatic textural effect, creating highlights and shadows with a simple stroke of the fabric in a new direction. Given its growing popularity, we did a side-by-side comparison of our three favorite commercial velvet textiles on the market today. Camira, Momentum, and Maharam have all released collections in the past few years and each are fantastic in their own way. Take a look at these three collections for a side-by-side comparison of price, durability, and color ways. Although, you can’t go wrong with any of these options on your next commercial furniture project. 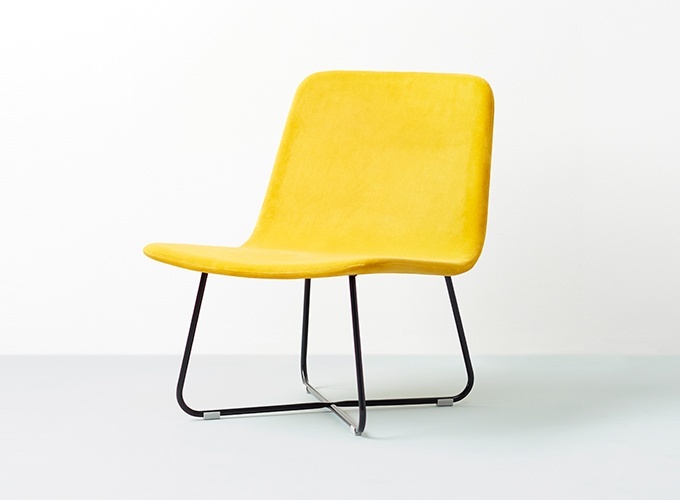 Touch by Camira is a very budget-friendly, hard-working, rich velvet. 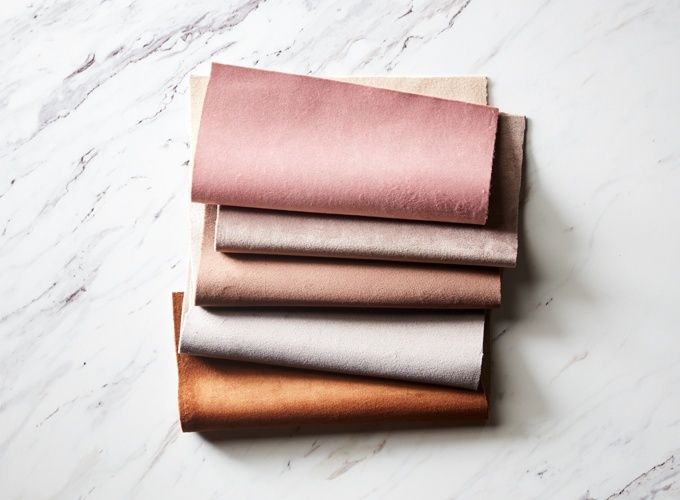 It has a remarkably soft, opulent texture and is available in 11 dreamy colors (shown above) ranging from bold and saturated to the most delightfully muted nudes and even a delicate pink. Touch is a welcomed addition to the Camira family, known more for their sustainable hemp and wool products than soft velvets, but as the mill they bring the same value and quality to this product as they do all of their others. No sheep were sheared in the making of this new fabric from Momentum. Faux Mo is the newest collection from the Momentum Group, a stunning faux mohair-style velvet that has us pretty smitten. Mohair is traditionally known as a high-end fabric, made from angora sheep fibers, which prices it out of reach for most restaurants. However, Momentum achieves the same look and performance by using recycled environmentally-friendly polyester content and a Crypton finish to make it a viable option for budget conscious consumers. Faux Mo comes in an astounding 30 different colorways. Although Rust and Sapphire are our personal favorites, each color is versatile and gorgeous in its own right. The feel of this collection is more robust and stiff, making it an ideal spec for high-use dining and lounge areas. Did we mention that it’s also bleach cleanable? This collection is Greenguard Gold certified, and you can find more information about that certification here. If bold and electrifying are what you’re after, may we suggest checking out the fashion-forward Cotton Velvet collection from Maharam? While slightly more expensive than the other two, this collection does have exclusive colorways that we haven’t been able to find anywhere else, like Highlight, Koi, and Fuschia that are all guaranteed to leave quite the first impression. We even used Highlight in our new Look Book. In total there are 13 colors (not all of them are as flamboyant as those listed above), but they are all beautiful in both color and luster. Woven in Italy, this product uses a fine mercerized cotton to help it achieve that luminous glow. (Mercerization is a process in which cotton yarn is treated to increase strength, luster, and dye receptivity.) You’ll find a dense pile, an extremely smooth surface, and a remarkable luster with this textile. This product is Greenguard and Greenguard Gold certified as well, however we do suggest specifying it with a CAL 117 compliant barrier for commercial applications. 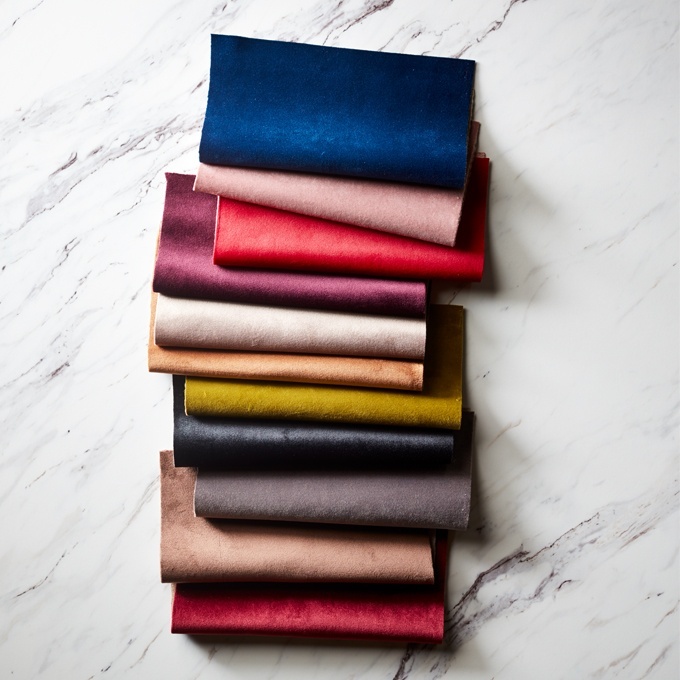 Velvet is an easy way to instantly add a richness and an elegance to your next restaurant or lounge space. 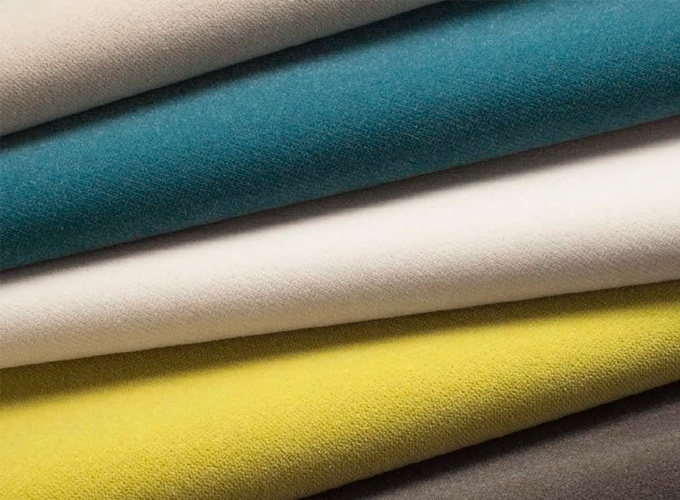 Explore more fabric options or order samples from these three trusted commercial fabric partners by visiting our “search by grade” microsites with Momentum, Maharam, or visit Camira’s homepage. 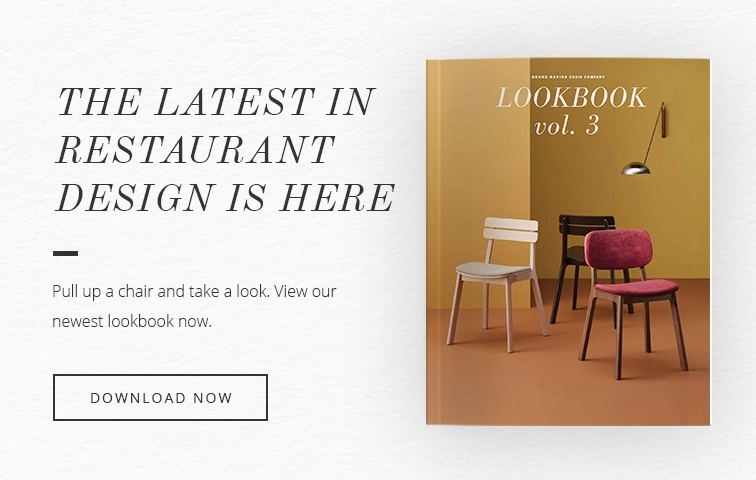 Download our newest Look Book for even more trends in restaurant design we’re loving right now.